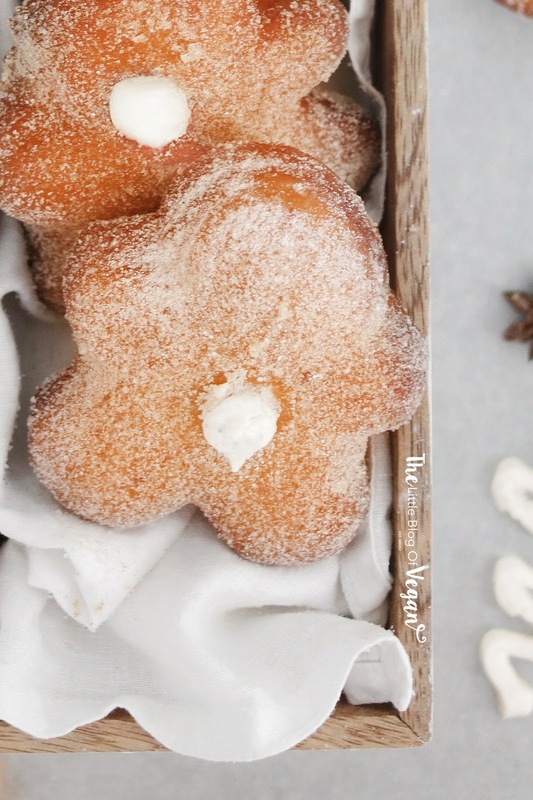 What's better than an ordinary doughnut?.....a gingerbread man doughnut of course! 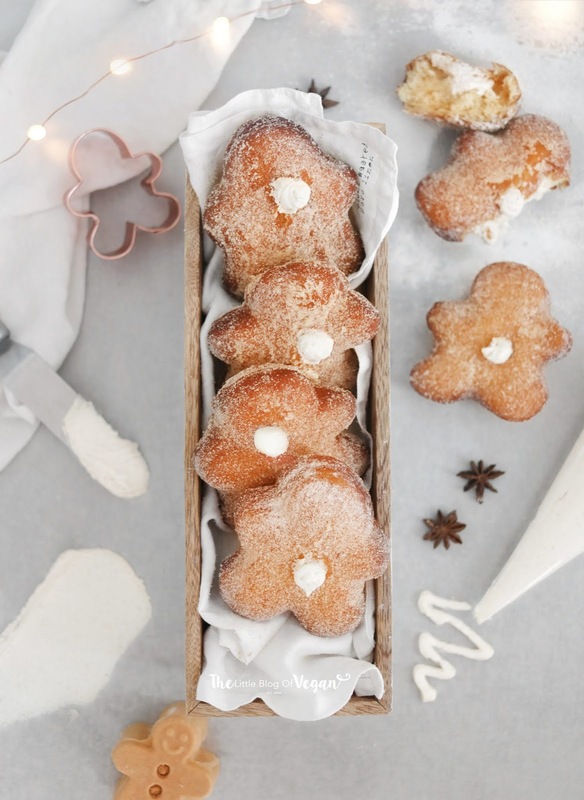 These doughnuts are shaped like gingerbread men, filled with a delicious gingerbread custard filling and rolled in golden caster sugar- YUM! 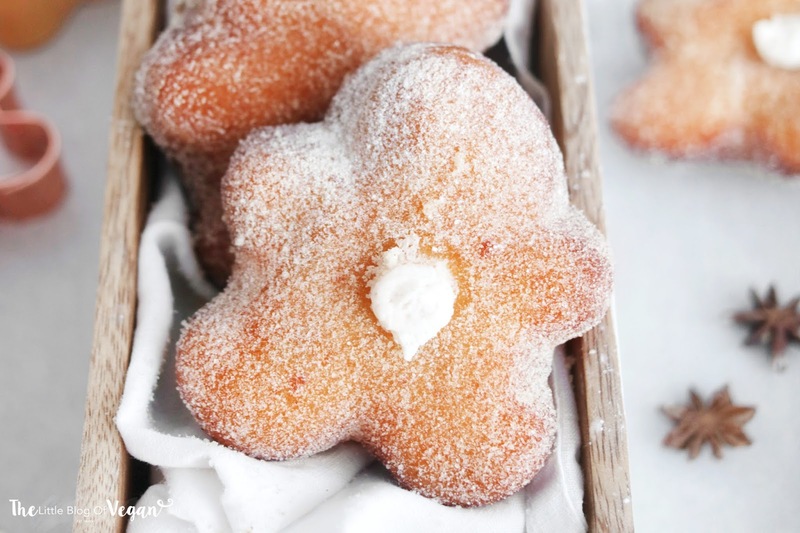 They're perfect for Christmas baking with the family! They are perfectly fluffy with the deliciously creamy and lightly spiced filling. They are filling, warming and cosy...I can imagine tucking into one, paired with a coffee watching some Christmas films! They're fun for the whole family to get involved in, and everyone is going to love them. They taste even better than they look...if that's even possible *drooling*. You could even fill them with jam, cream, custard...anything you fancy! 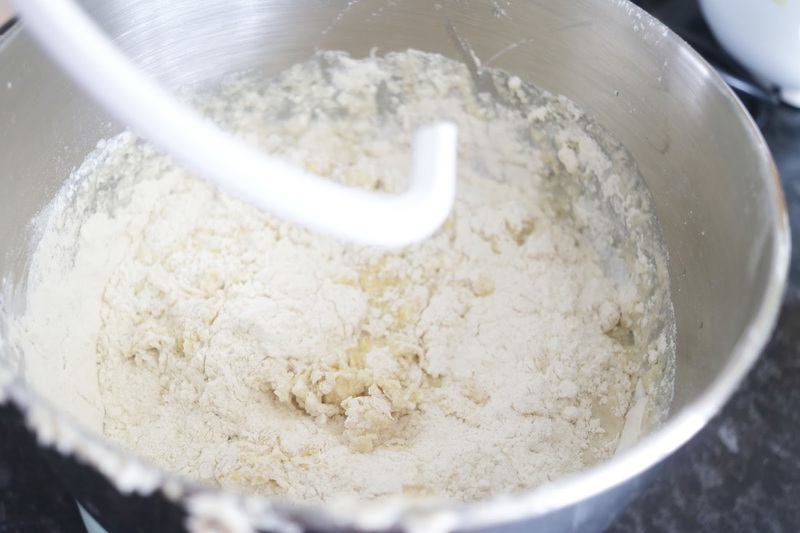 If it's too liquidy, add in some more flour. 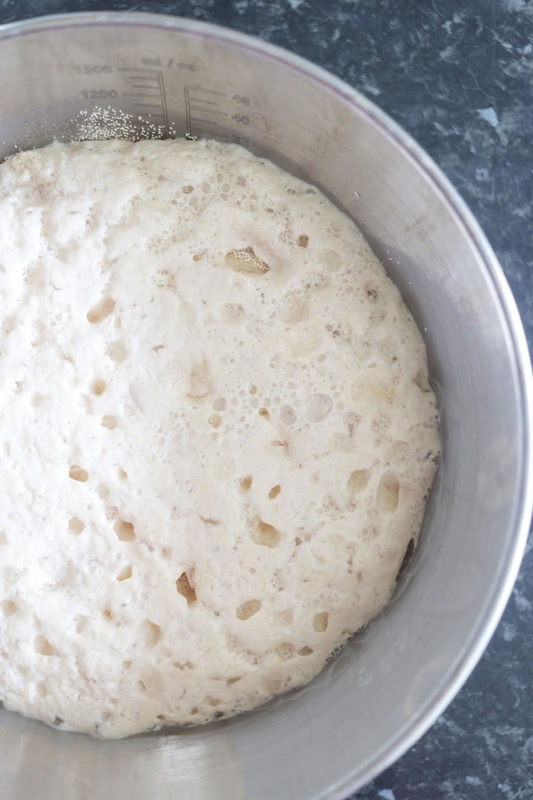 Step 7- Once doubled, turn the dough out onto a clean, floured surface and roll out until around 1/2 inch thick. Step 8- Using a gingerbread man cookie cutter, cut out gingerbread men and place onto a lined baking tray. Step 9- Place the cutout doughnuts back into a warm area covered with a tea towel for around 1 hour until they have doubled in size. 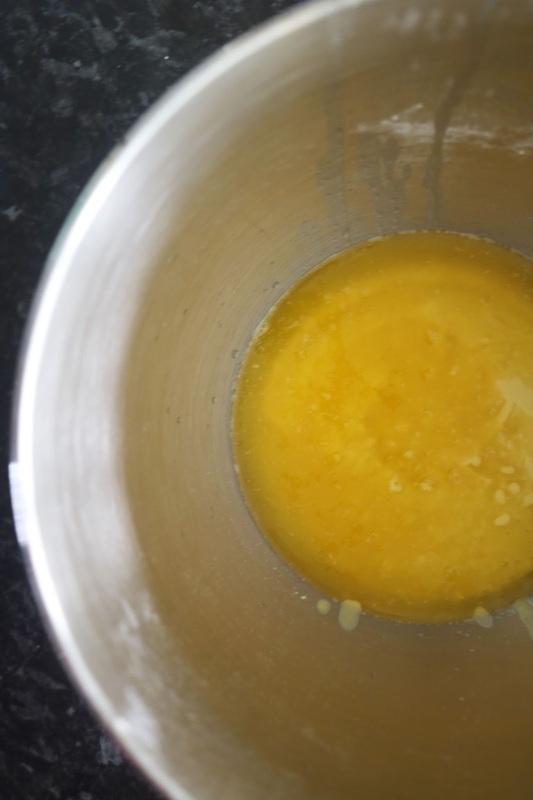 Step 2- Add in the icing sugar, ground ginger and all of the custard. 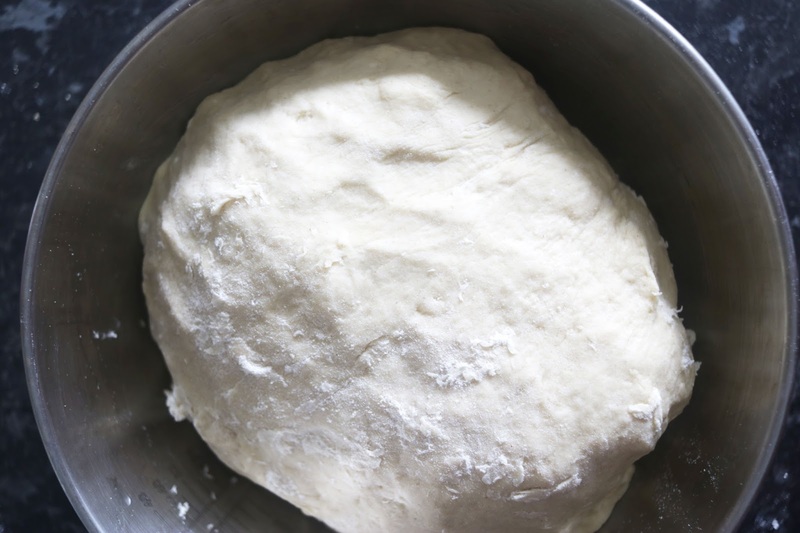 Step 4- Poke a hole in the side or middle of the doughnuts and fill each of the doughnuts. 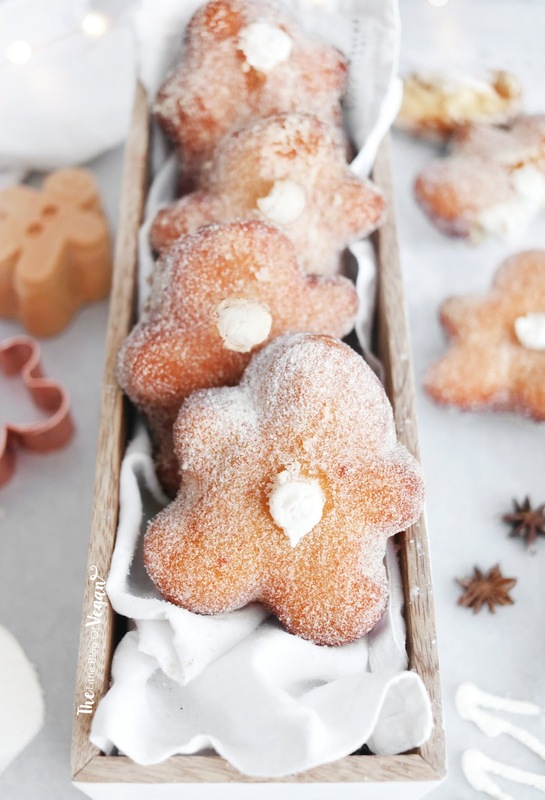 Oh my, these gingerbread man doughnuts look so delicious! What a creative idea! wow I want to make these for christmas! 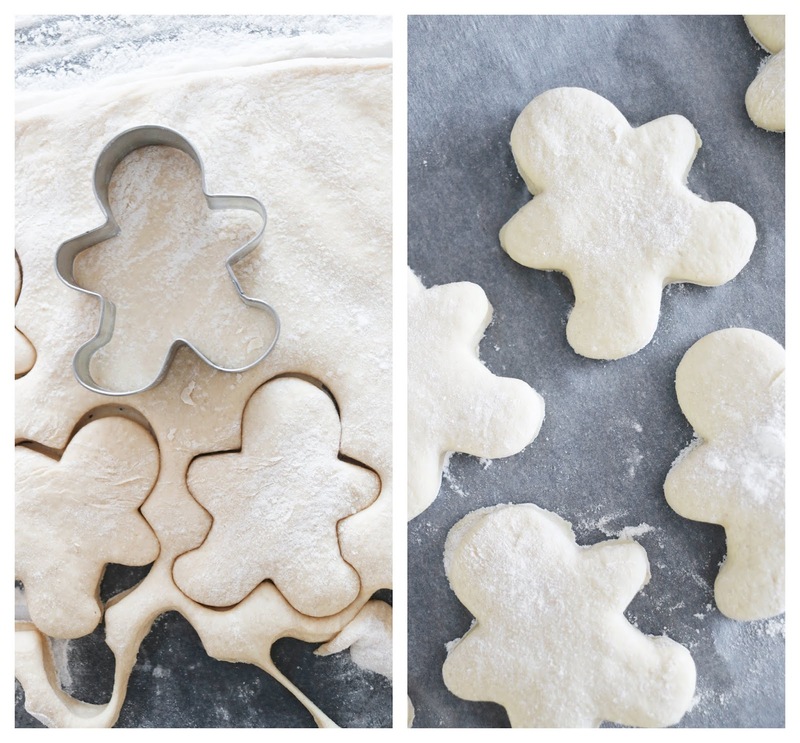 What size gingerbread cookie cutter did you use? So do I put the cream or the custard in the doughnuts? Can I use chia or flax egg for the egg replacer?